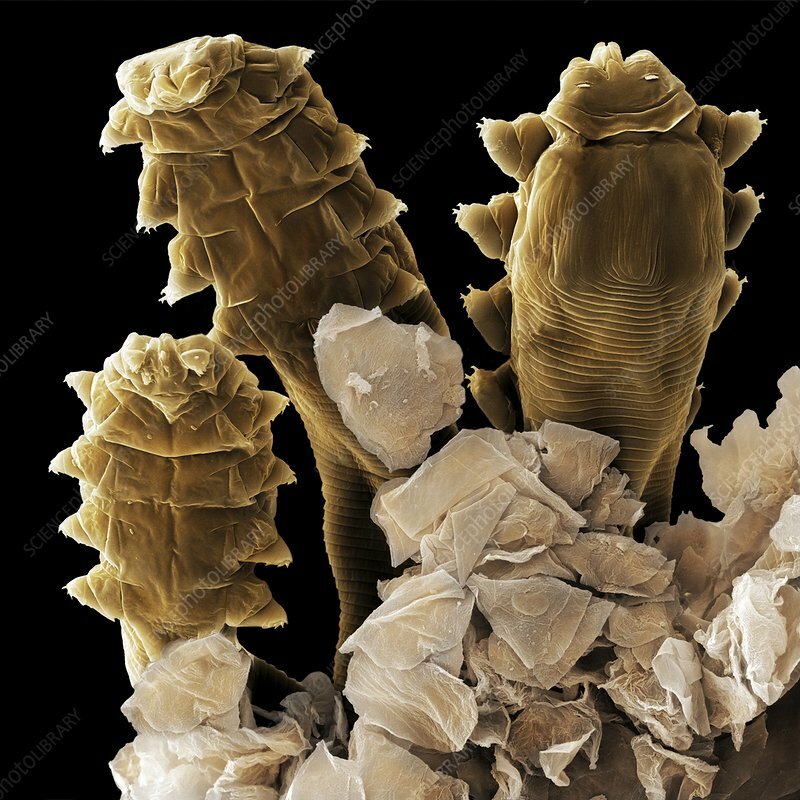 Follicle mite heads (Demodex folliculorum), coloured scanning electron micrograph (SEM) of follicle or eyelash mites protruding from a dissected human hair follicle. These mostly harmless parasites infest hair follicles (depressions in the skin which contain the roots of hairs) around the eyelids, nose and in the ear canals of humans. One follicle may contain up to 25 growing mites. They feed on oily secretions from the skin's sebaceous glands, as well as dead skin cells. Infestation with follicle mites is usually symptomless, but allergic reactions to the mites in susceptible individuals can cause hair loss and acne. Magnification X530 at 10cm wide.